Harbour Isle on Anna Maria Sound is an exclusive residential community that started construction at a time when the Southwest Florida housing market had not yet recovered. 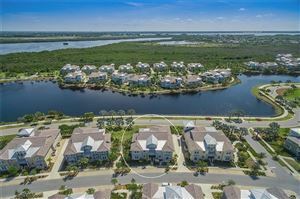 Canadian developer Minto realized the sheer potential of turning portions of this mangrove island into a premier community, and the result is one of the most exciting neighborhoods in Bradenton Florida. The doors of Harbour Isle are open to home shoppers who wish to take advantage of the best real estate proposition in the Sunshine State. 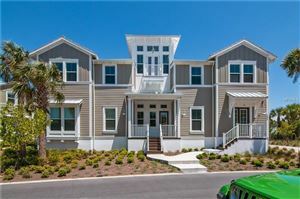 This waterfront community includes a resort-style swimming pool and a boat house with kayak launch. A beach club with an adjacent marina is in the works. Minto is breaking from the architectural mold of Mediterranean-style homes with fresh floor plans inspired by Caribbean homes. Residences in the Mangrove Walk section of Harbour Isle start at less than $385K for a three-bedroom and two-bathroom residence built on 2,497 total square footage; this is the affordable Bimini model that includes a covered screened lanai, foyer and two-car garage. 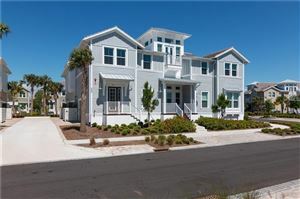 House hunters who are looking for a larger and more upscale experience should consider the Harbour Grand Retreat model starting at $578K; this 3,564 square feet floor plan has three bedrooms and three full bathrooms with extras such as sun rooms, observatory, separate foyers, dens and more. The modern residential construction at Harbour Isle consists of energy-efficient homes, lush landscaping and nature trails. Nature lovers will enjoy the abundant Florida wildlife that call Anna Maria Island home: Manatees, dolphins, ospreys, egrets, and more. Swimming, boating, fishing and walking to the beach are popular island hobbies, but a short drive on the Manatee Avenue causeway is all it takes to access the many suburban comforts of West Bradenton. Some young residents of Harbour Isle will not have to leave the island to attend school. Anna Maria Elementary is within walking distance. King Middle and Manatee High Schools are close to the island, and there are various private academies to choose from as well. 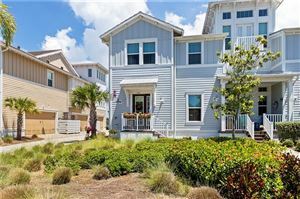 See all Harbour Isle Anna Maria Sound Bradenton Condos for Sale.